On Thursdays I have two hours between my morning and afternoon classes. Typically I’ve had to work during those two hours for a Bar Prep Course company that I do sales for, but since this week was the last week of classes I had those two glorious hours free. 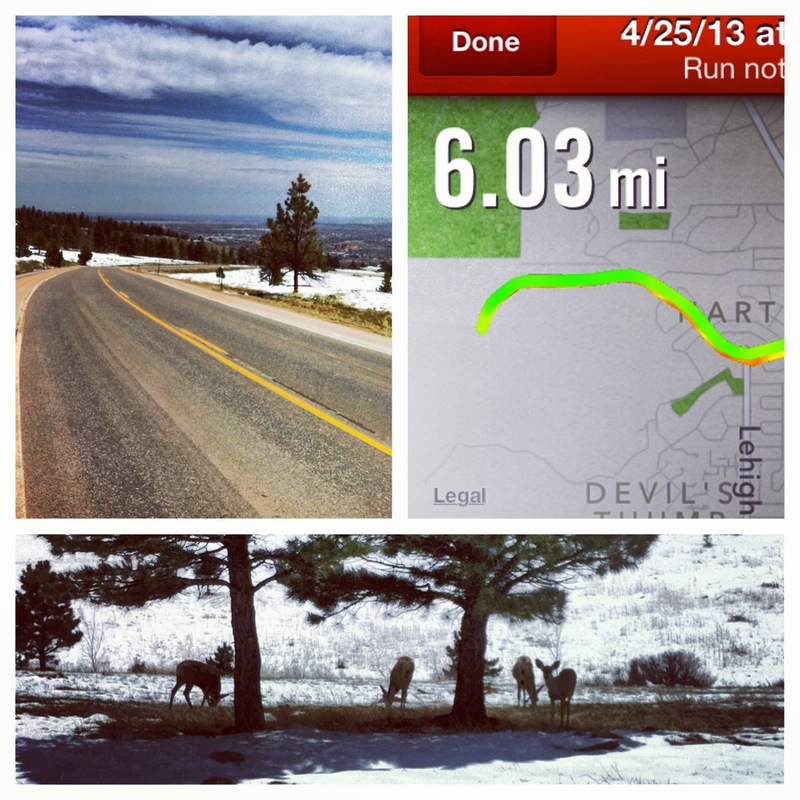 Since the weather is finally above freezing, I decided to do some hill sprints. The sun was shining and a herd of deer (a herd? is that what they are called?) came out to join me. Anyone else doing a Tough Mudder this year? This entry was posted in Uncategorized and tagged CrossFit, Fitness, Run, tough mudder by fionaboger. Bookmark the permalink.